Current techniques for teaching spinal mobilisation follow the traditional classroom approach: an instructor demonstrates a technique and students attempt to emulate it by practising on each other while receiving feedback from the instructor. 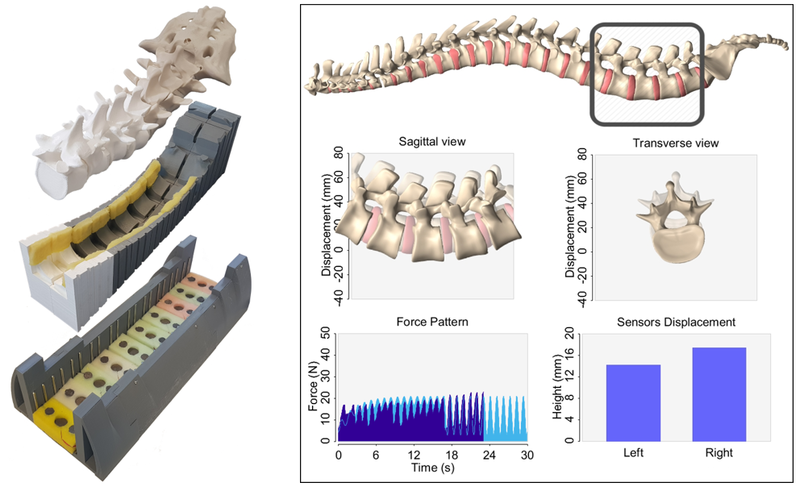 This paper introduces SpinalLog, a novel tangible user interface (TUI) for teaching and learning spinal mobilisation. 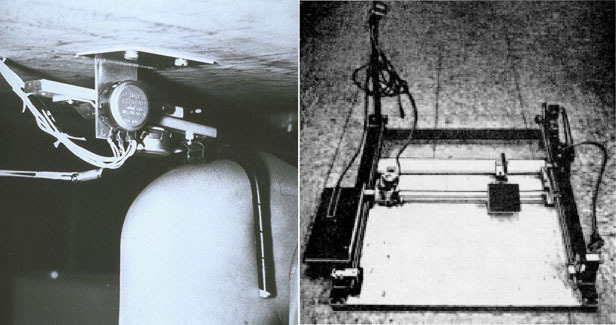 The system was co-designed with physiotherapy experts to look and feel like a human spine, supporting the learning of mobilisation techniques through real-time visual feedback and deformation-based passive haptic feedback. We evaluated Physical Fidelity, Visual Feedback, and Passive Haptic Feedback in an experiment to understand their effects on physiotherapy students' ability to replicate a mobilisation pattern recorded by an expert. We found that simultaneous feedback has the largest effect, followed by passive haptic feedback. The high fidelity of the interface has little effect, but plays an important role in the perception of the system's benefit. We investigate the predictability of the next unlock event on smartphones, using machine learning and smartphone contextual data. In a two-week field study with 27 participants, we demonstrate that it is possible to predict when the next unlock event will occur. Additionally, we show how our approach can improve accuracy and energy effciency by solely relying on software-related contextual data. Based on our findings, smartphone applications and operating systems can improve their energy effciency by utilising short-term predictions to minimise unnecessary executions, or launch computation-intensive tasks, such as OS updates, in the locked state. For instance, by inferring the next unlock event, smartphones can pre-emptively collect sensor data or prepare timely content to improve the user experience during the subsequent phone usage session. With the increased reach and impact of video lectures, it is crucial to understand how they are experienced. Whereas previous studies typically present questionnaires at the end of the lecture, they fail to capture students' experience in enough granularity. In this paper we propose recording the lecture difficulty in real-time with a physical slider, enabling continuous and fine-grained analysis of the learning experience. We evaluated our approach in a study with 100 participants viewing two variants of two short lectures. We demonstrate that our approach helps us paint a more complete picture of the learning experience. Our analysis has design implications for instructors, providing them with a method that helps them compare their expectations with students' beliefs about the lectures and to better understand the specific effects of different instructional design decisions. 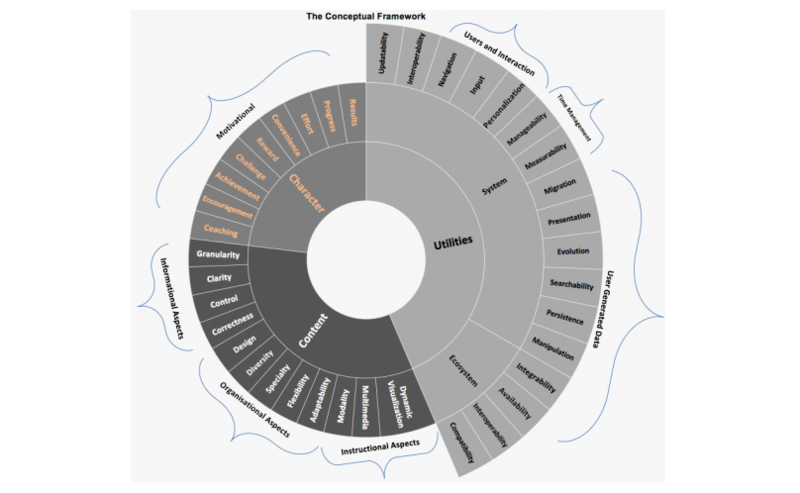 We present a conceptual framework grounded in both users reviews and HCI theories, residing between practices and theories as a form of intermediate-level knowledge in interaction design. Previous research has examined different forms of intermediary knowledge such as conceptual structures, strong concepts, and bridging concepts. Within HCI, these forms are generic and rise either from theories or particular instances. In this work, we created and evaluated a conceptual framework for a specific domain (smartphone-fitness-apps). We first extracted the particular instances using users online reviews and conceptualised them as an expectations and experiences framework. Secondly, within the framework, we evaluated the artefact related constructs using Norman's design principles. Thirdly, we evaluated beyond-the-artefact related constructs using the distributed cognitive theory. We present an analysis of such form of intermediate-level knowledge with the aim of informing future designs. Research shows that environmental factors such as ambient noise and cold ambience can render users situationally impaired, adversely affecting interaction with mobile devices. However, an internal factor which is known to negatively impact cognitive abilities - stress - has not been systematically investigated in terms of its impact on mobile interaction. In this paper, we report a study where we use the Trier Social Stress Test to induce stress on participants, and investigate its effect on three aspects of mobile interaction: target acquisition, visual search, and text entry. We find that stress reduces completion time and accuracy during target acquisition tasks, as well as completion time during visual search tasks. Finally, we are able to directly contrast the magnitude of these effects to previously published effects of environmentally-caused impairments. Our work contributes to the growing body of literature on situational impairments. 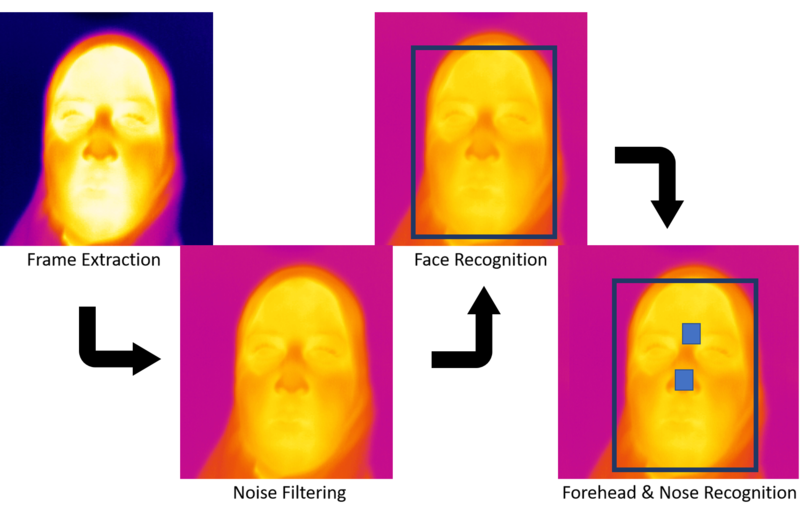 In this work, we evaluate the potential of using wearable non-contact (infrared) thermal sensors through a user study (N=12) to measure mental workload. Our results indicate the possibility of mental workload estimation through the temperature changes detected using the prototype as participants perform two task variants with increasing difficulty levels. While the sensor accuracy and the design of the prototype can be further improved, the prototype showed the potential of building AR-based systems with cognitive aid technology for ubiquitous task assistance from the changes in mental workload demands. As such, we demonstrate our next steps by integrating our prototype into an existing AR headset (i.e. Microsoft HoloLens). Most work in the design of learning technology uses click-streams as their primary data source for modelling & predicting learning behaviour. In this paper we set out to quantify what, if any, advantages do physiological sensing techniques provide for the design of learning technologies. 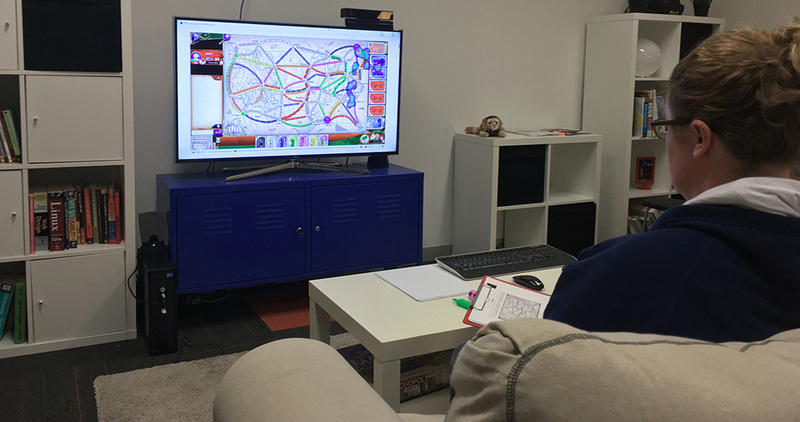 We conducted a lab study with 251 game sessions and 17 users focusing on skill development (i.e., user's ability to master complex tasks). We collected click-stream data, as well as eye-tracking, electroencephalography (EEG), video, and wristband data during the experiment. Our analysis shows that traditional click-stream models achieve 39% error rate in predicting learning performance (and 18% when we perform feature selection), while for fused multimodal the error drops up to 6%. Our work highlights the limitations of standalone click-stream models, and quantifies the expected benefits of using a variety of multimodal data coming from physiological sensing. Our findings help shape the future of learning technology research by pointing out the substantial benefits of physiological sensing. Testing camera-based sensing applications on mobile devices is challenging and time-consuming. In this paper, we present CamTest, a novel laboratory testbed for camera-based mobile sensing applications. It enables researchers to conduct systematic, affordable and efficient tests on their applications in laboratory conditions. 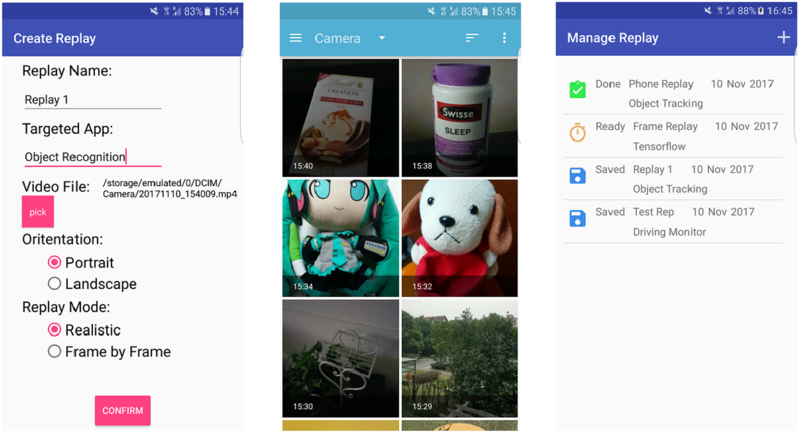 Instead of real - world tests that directly use the camera, CamTest delivers the frames of a video clip to the image processing module of the targeted application. Meanwhile, CamTest tracks the image processing output, errors and image processing speed of the targeted application at runtime. After testing, CamTest can visualise the recorded information simultaneously with video playback so that testers can understand how the sensing context affects the behaviours of the application. Through computational efficiency measurements, and a user study with 14 developers, we show that CamTest can effectively facilitate and simplify the testing of camera-based mobile sensing applications. Humans working alongside artificial agents on everyday tasks is now commonplace; making it increasingly important to design artificial agents that can understand and interact with humans. We posit that for artificial agents to do this effectively, they first need to harness nonverbal cues commonly present in human-human interaction. We, therefore, leverage the knowledge from existing work on gaze-based intention recognition, where the awareness of gaze can provide insights into the future actions of an observed human subject. In this paper, we design and evaluate the use of a proactive intention-aware gaze-enabled artificial agent that assists a human player engaged in an online strategy game. The agent assists by recognising and communicating the intentions of a human opponent in real time; potentially enabling better situation awareness. Our first study identifies the language requirements for the artificial agent to communicate an opponent's intentions to the assisted player using a human-centred design approach. Our second study compares the experience of playing an online strategy game with and without the assistance of the agent. Specifically, we conducted a within-subject study with 30 participants to compare their experience of playing with (1) detailed AI predictions, (2) abstract AI predictions, and (3) no AI predictions but a live visualisation of their opponent's gaze. Our results show that the agent can facilitate awareness of another user's intentions without adding visual distraction to the interface; however, the cognitive load was similar across all three conditions, suggesting that the manner in which the agent communicates its predictions requires further exploration. Our work provides a positive account of humans interacting with an intention-aware artificial agent afforded by gaze input, which presents immediate opportunities for improving interactions between humans and agents. Our work further demonstrates the importance of human elicitation for producing communication protocols for effective interaction with their human counterparts.pproach.ames. 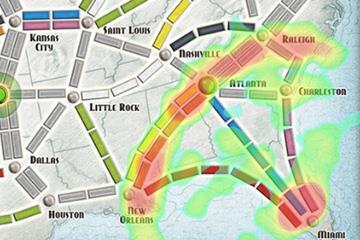 Recent research combines artificial intelligence with eye gaze to predict human moves in board games. Gaze is a nonverbal behavioural cue used to assess other people's intentions. Game players use their opponents' gaze to make predictions about their plans while simultaneously managing their own gaze to avoid giving away their plans. This socially competitive dimension is lacking in most online games, where players are out of sight of each other. We conducted a lab study using a strategic online game; finding that (1) players are better at discerning their opponent's plans when shown a live visualisation of the opponent's gaze, and (2) players who are aware that their gaze is tracked will manipulate their gaze to keep their true intentions hidden. We describe the strategies that players employed, to various degrees of success, to deceive their opponent through their gaze behaviour. This gaze-based deception adds an effortful and challenging aspect to the competition, which may be a fruitful avenue for game design to explore. Intention recognition is the process of using behavioural cues to infer an agent's goals or future behaviour. People use many behavioural cues to infer others' intentions, such as deliberative actions, facial expressions, eye gaze, and gestures. In artificial intelligence, two approaches for intention recognition, among others, are gaze-based and model-based intention recognition. Approaches in the former class use gaze to determine which parts of a space a person looks at more often to infer a person's intention. Approaches in the latter use models of possible future behaviour to rate intentions as more likely if they are a better `fit' to observed actions. In this paper, we propose a novel model of human intention recognition that combines gaze and model-based approaches for online human intention recognition. Gaze data is used to build probability distributions over a set of possible intentions, which are then used as priors in a model-based intention recognition algorithm. In human-behavioural experiments (n=20) involving a multi-player board game, we found that adding gaze-based priors to model-based intention recognition more accurately determined intentions (p < 0.01), determined those intentions earlier (p < 0.01), and at no additional cost; all compared to a model-based-only approach.ames. The adverse effect of ambient noise on humans has been extensively studied in fields like cognitive science, indicating a significant impact on cognitive performance, behaviour, and emotional state. Surprisingly, the effect of ambient noise has not been studied in the context of mobile interaction. As smartphones are ubiquitous by design, smartphone users are exposed to a wide variety of ambient noises while interacting with their devices. In this paper, we present a structured analysis of the effect of six distinct ambient noise types on typical smartphone usage tasks. The evaluated ambient noise types include variants of music, urban noise and speech. We analyse task completion time and errors, and find that different ambient noises affect users differently. For example, while speech and urban noise slow down text entry, being exposed to music increases performance in target acquisition tasks. Our study contributes to the growing research area on situational impairments, and we compare our results to previous work on the effect of cold-induced situational impairments. Our results can be used to support smartphone users through adaptive interfaces which respond to the ongoing context of the user. 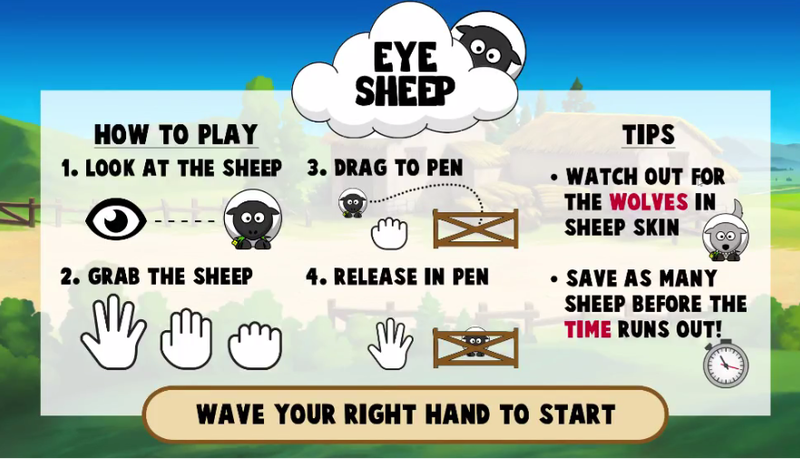 Recently, interaction techniques in which the user selects screen targets by matching their movement with the input device have been gaining popularity, particularly in the context of gaze interaction (e.g. Pursuits, Orbits, AmbiGaze, etc.). However, though many algorithms for enabling such interaction techniques have been proposed, we still lack an understanding of how they compare to each other. In this paper, we introduce two new algorithms for matching eye movements: Profile Matching and 2D Correlation, and present a systematic comparison of these algorithms with two other state-ofthe-art algorithms: the Basic Correlation algorithm used in Pursuits and the Rotated Correlation algorithm used in PathSync. We also examine the effects of two thresholding techniques and post-hoc filtering. We evaluated the algorithms on a user dataset and found the 2D Correlation with one-level thresholding and post-hoc filtering to be the best performing algorithm. The mood of a community influences work productivity, socioeconomic outcomes and general quality of life of its members , so being able to measure it opens a wealth of opportunities like, informing policies, scheduling events and possibly discovering the contexts that bring about undesirable moods within a community. Though there are a plethora of methods for measuring emotional states of individuals in lab settings (e.g. self-report, analysis of nonverbal behaviours, physiological sensors), they do not scale well to large numbers of people or in-the-wild settings. This paper examines the feasibility of inferring the mood of a community by measuring the walking speed of pedestrians, which is a technique that is unobtrusive, scalable, and readily available. Our preliminary results from our data collection reveal differences in walking speed at different times of the day; demonstrating the feasibility of our approach. We discuss the implications of our findings, followed by the future steps of this work. 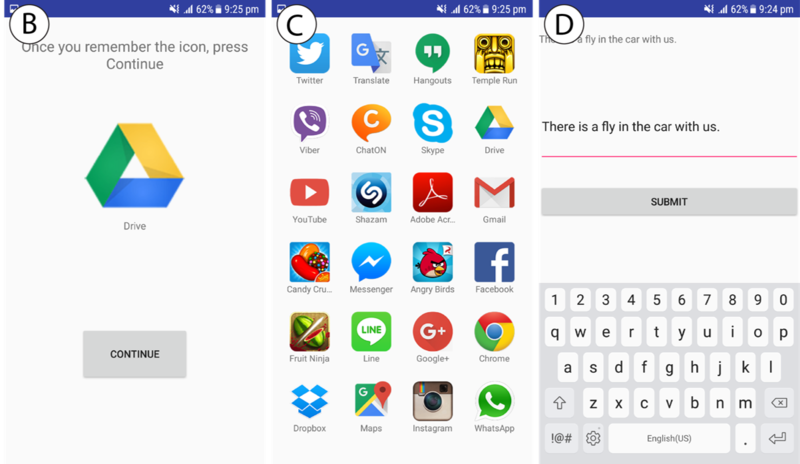 Selection is a canonical task in user interfaces, commonly supported by presenting objects for acquisition by pointing. In this article, we consider motion correlation as an alternative for selection. The principle is to represent available objects by motion in the interface, have users identify a target by mimicking its specific motion, and use the correlation between the system’s output with the user’s input to determine the selection. The resulting interaction has compelling properties, as users are guided by motion feedback, and only need to copy a presented motion. 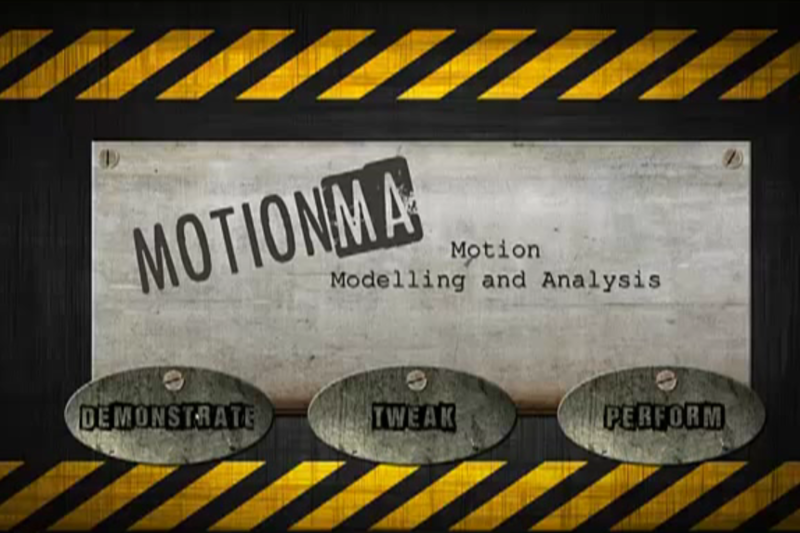 Motion correlation has been explored in earlier work but only recently begun to feature in holistic interface designs. 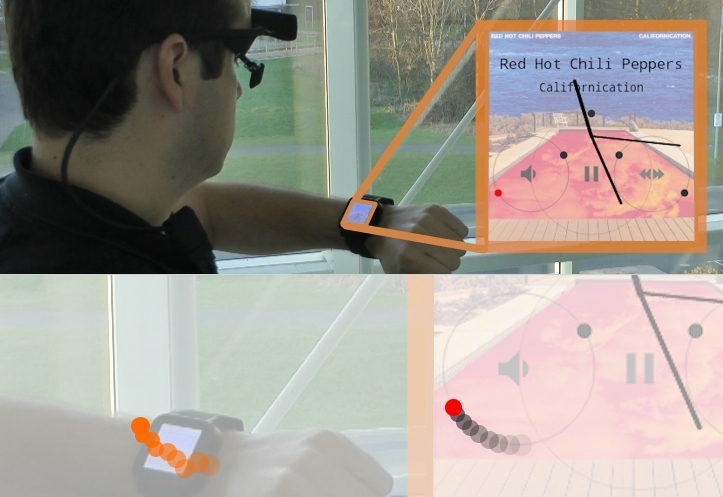 We provide a first comprehensive review of the principle, and present an analysis of five previously published works, in which motion correlation underpinned the design of novel gaze and gesture interfaces for diverse application contexts. We derive guidelines for motion correlation algorithms, motion feedback, choice of modalities, overall design of motion correlation interfaces, and identify opportunities and challenges identified for future research and design. 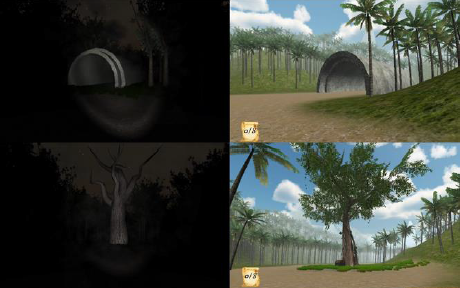 In this paper, we investigate nine different visual representations of gaze in a competitive digital game setting. We evaluate the ability of spectators to infer a player's intentions in the game for each visual representation. Our results show that spectators have a remarkable ability to infer intent accurately using all nine visualizations, but that visualizations with certain characteristics were more comprehensible and more readily revealed the player's intent. The real-time Heatmap visualization was the most highly preferred by participants and the most effective in revealing intent, due to its ability to balance real-time gaze information with a persistent summary of recent gaze behaviour. Our findings show that eye-tracking visualization can enable playful interactions in competitive games based on players' ability to interpret opponents' attention and intention through gaze information. Though modern tablet devices offer users high processing power in a compact form factor, interacting with these devices while holding them still presents problems, forcing the user to alternate the dominant hand between holding the device and touching the screen. 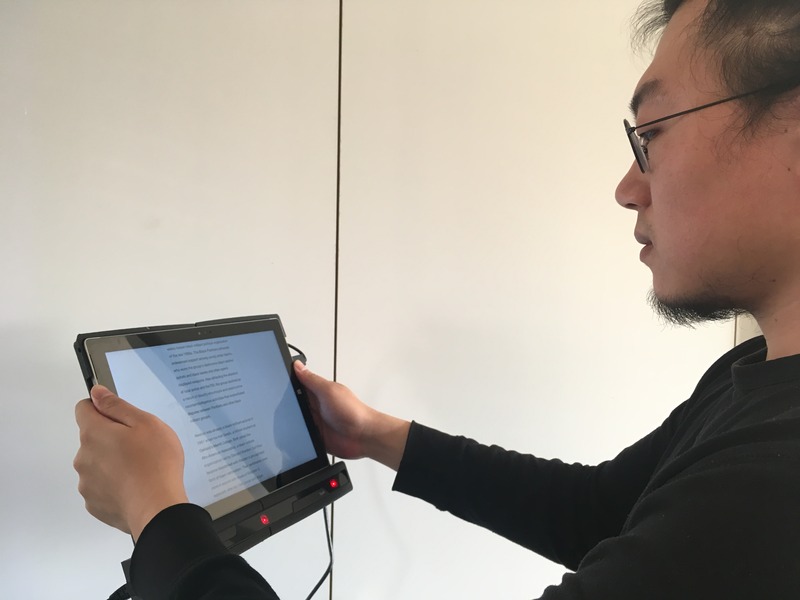 In this paper, we explore how eye tracking can minimize this problem through GazeGrip---a prototype interactive system for a tablet that integrates eye tracking and back-of-device touch sensing. We propose a design space for potential interaction techniques that leverage the power of this combination, as well as prototype applications that instantiate it. Our preliminary results highlight as opportunities enabled by the system reduced fatigue while holding the device, minimal occlusion of the screen, and improved accuracy and precision in the interaction. Search is near-ubiquitous in human society, being used for entertainment, health, financial and business information seeking. 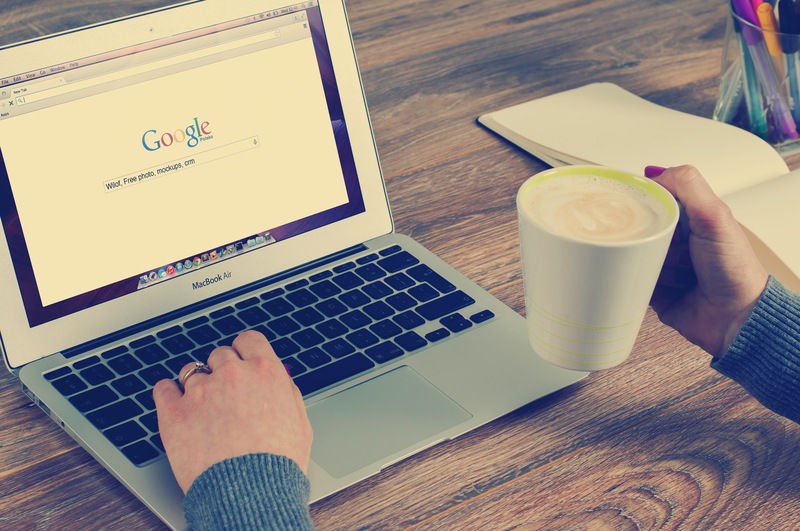 Traditional methods of search evaluation have assumed that searchers move forward through search results in a linear manner; early eye tracking studies have suggested the same. Recent research, though, including eye-tracking data, has demonstrated a number of counter-cases, particularly for search in complex conditions. These examples highlight how little we understand where humans look or what they are doing when examining search results: in this paper we undertake a broad survey of the literature to refine this research question, and suggest avenues for developing a model of behaviour. In this paper, we present PathSync, a novel, distal and multi-user mid-air gestural technique based on the principle of rhythmic path mimicry; by replicating the movement of a screen-represented pattern with their hand, users can intuitively interact with digital objects quickly, and with a high level of accuracy. We present three studies that each contribute (1) improvements to how correlation is calculated in path-mimicry techniques necessary for touchless interaction, (2) a validation of its efficiency in comparison to existing techniques, and (3) a demonstration of its intuitiveness and multi-user capacity ‘in the wild’. Our studies consequently demonstrate PathSync’s potential as an immediately legitimate alternative to existing techniques, with key advantages for public display and multi-user applications. Recent works have explored the concept of movement correlation interfaces, in which moving objects can be selected by matching the movement of the input device to that of the desired object. Previous techniques relied on a single modality (e.g. gaze or mid-air gestures) and specific hardware to issue commands. TraceMatch is a computer vision technique that enables input by movement correlation while abstracting from any particular input modality. The technique relies only on a conventional webcam to enable users to produce matching gestures with any given body parts, even whilst holding objects. We describe an implementation of the technique for acquisition of orbiting targets, evaluate algorithm performance for different target sizes and frequencies, and demonstrate use of the technique for remote control of graphical as well as physical objects with different body parts. Eye tracking is a promising input modality for interactive tabletops. 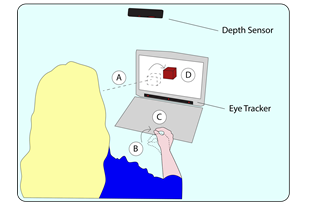 However, issues such as eyelid occlusion and the viewing angle at distant positions present significant challenges for remote gaze tracking in this setting. 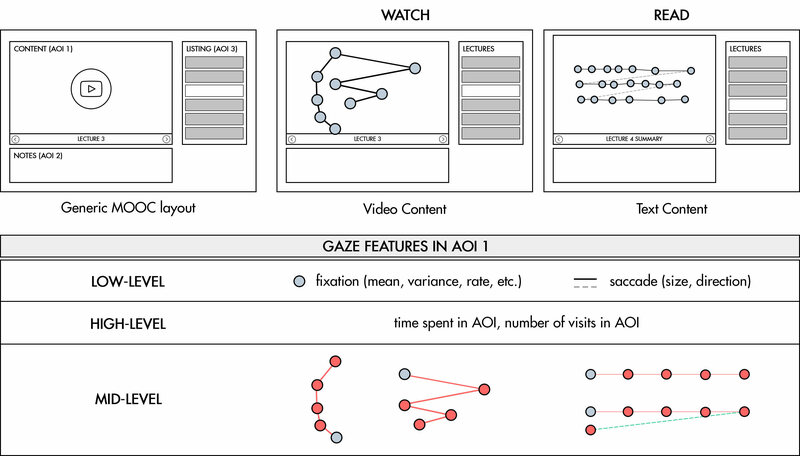 We present the results of two studies that explore the way gaze interaction can be enabled. Our first study contributes the results from an empirical investigation of gaze accuracy on a large horizontal surface, finding gaze to be unusable close to the user (due to eyelid occlusion), accurate at arms length, and only precise horizontally at large distances. In consideration of these results, we propose two solutions for the design of interactive systems that utilize remote gaze-tracking on the tabletop; multimodal segmentation and the use of X----Gaze-our novel technique---to interact with out-of-reach objects. 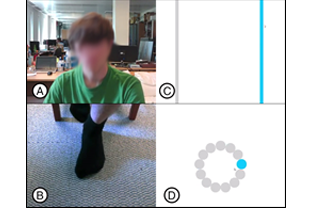 Our second study evaluates these techniques in a Video-on-Demand application, validating both techniques and immediate opportunity for remote-gaze interaction on horizontal surfaces. Demos at UBICOMP 2015 provided researchers with an opportunity to present their latest cutting-edge research, but also early implementations, prototypes, work-in-progress systems, and commercial products. At UBICOMP, demos offer a chance for authors to engage the attendees and media representatives at a personal level and let them see, touch, and experience the future of ubicomp. Eye tracking offers many opportunities for direct device control in smart environments, but issues such as the need for calibration and the Midas touch problem make it impractical. 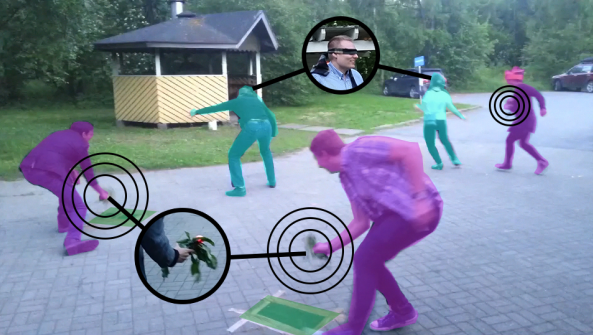 In this paper, we propose a AmbiGaze, a smart environment that employs the animation of targets to provide users with direct control of devices by gaze only through smooth pursuit tracking. We propose a design space of means of exposing functionality through movement and illustrate the concept through four prototypes. We evaluated the system in a user study and found that AmbiGaze enables robust gaze-only interaction with many devices, from multiple positions in the environment, in a spontaneous and comfortable manner. 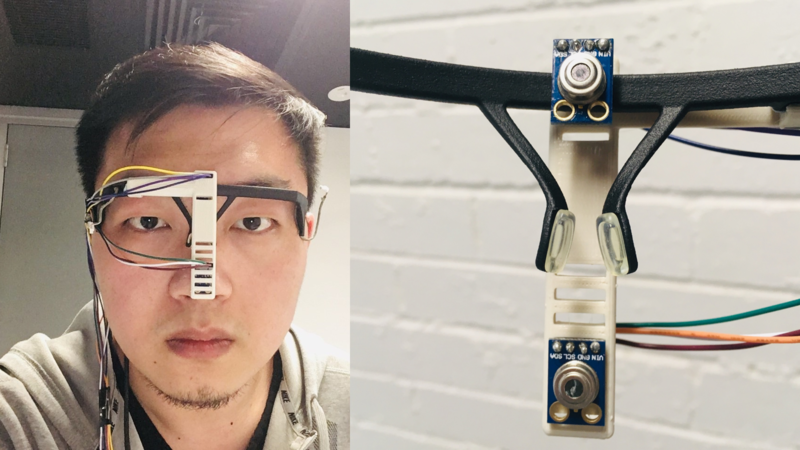 As eye trackers become cheaper, smaller, more robust, and more available, they finally leave research labs and enter the home environment. 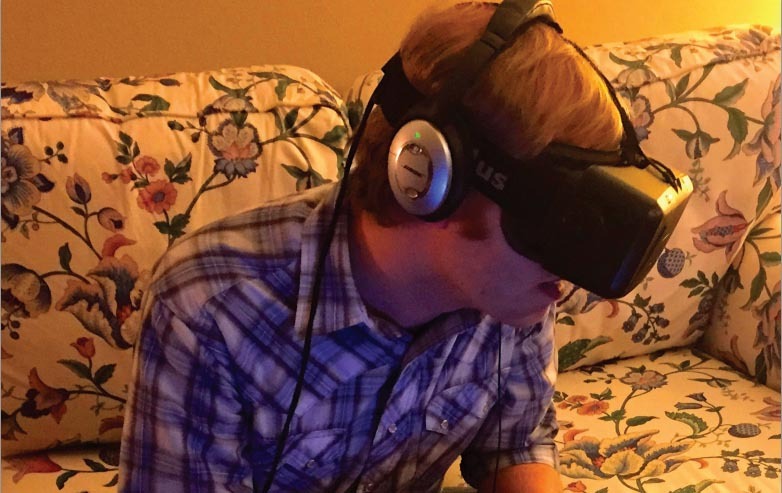 In this context, gaming arises as a promising application domain for eye interaction. The goal of this survey is to categorise the different ways in which the eyes can be incorporated into games and play in general as a resource for future design. 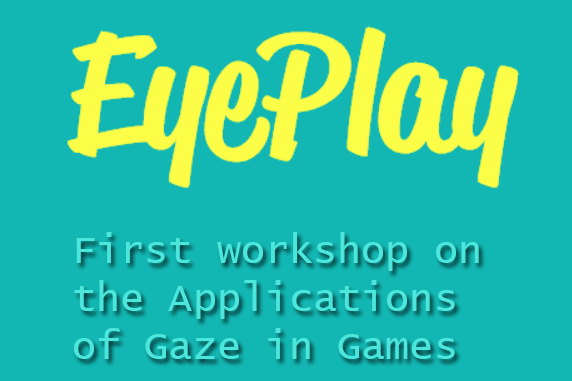 We reviewed the literature on the topic, as well as other game prototypes that employ the eyes. We compiled a list of eye-enabled game mechanics and derived a taxonomy that classifies them according to the eye movements they involve, the input type they provide, and the game mechanics that they implement. Based on our findings we articulate the value of gaming for future HCI gaze research and outline a research program around eye interaction in gaming. 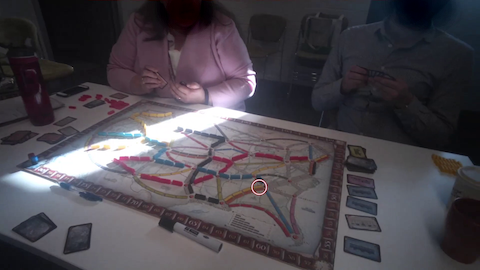 During tabletop gameplay, players monitor each other’s gaze throughout, providing a form of implicit non-verbal communication. A player can infer the intention and potential strategies by estimating the gaze of another, especially in co-located gameplay. This early work-in-progress paper details an exploratory study design that explores the effect of gaze on gameplay, in particular when the gaze of one or more players is augmented over the game and revealed to others. We believe that players may very well change their strategies when gaze becomes ‘common knowledge’, but can also be used as a form of deception. This concept not only limited to co-located gameplay but also to multiplayer digital games. This work evaluates the effect of gaze in both settings, providing new insights towards the emerging research of EyePlay. In this paper, we propose the use of 'visible gaze' for multiplayer gameplay to foster new playful experiences. Our eyes convey rich non-verbal communication, such as social cues, intention and emotions. In co-located gameplay, players monitor each other's gaze in search for clues through from non-verbal cues. By making the invisible visible, we can uncover new game dynamics that leads to new kinds of emotions experience beyond the dichotomy of positive/negative. The results from this project will allow us to design new kinds of emotional experiences for augmented traditional games as well as conventional multiplayer video games. In weight training, correct exercise execution is crucial for maximizing its effectiveness and for preventing injuries. However, given the complexity of these movements, it is a challenge for trainees to know whether they are performing the exercise correctly. Considering the fact that wrong moves may result in life long injuries, it is utmost important to design systems that can detect wrong performances automatically. 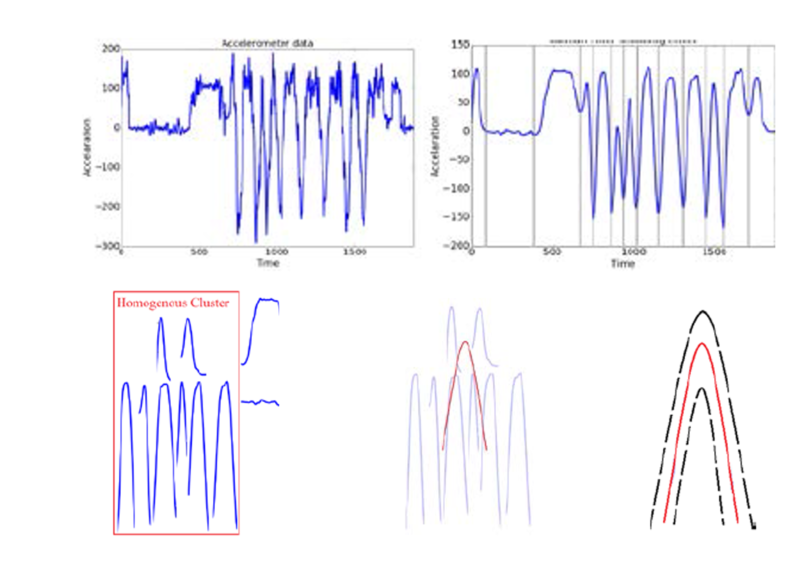 In this paper, we present a workflow to detect performance anomalies from only observation of the correct performance of an exercise by the trainee. We evaluated our algorithm on a benchmark data set for the biceps curl exercise, and also evaluated our system with a publicly available dataset, and showed that our method detects unseen anomalies in weight lifting exercises with 98 percent accuracy. 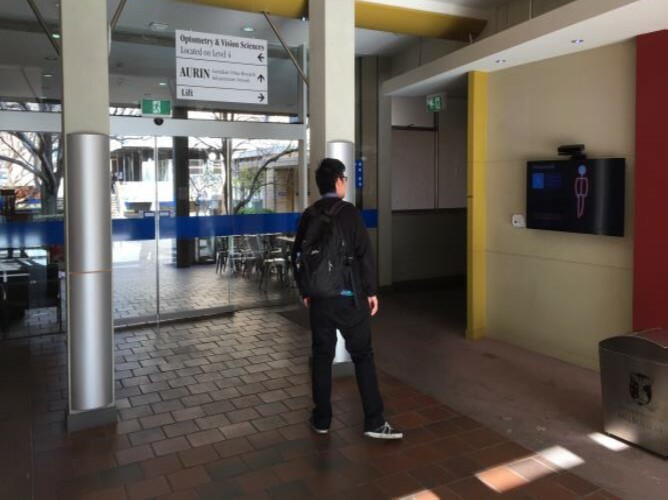 In this paper we introduce, examine and reflect on player and spectator interaction, socialization and engagement with two gesture-based multiplayer games deployed on two sensor-enabled and networked semi-public campus displays. One within a transitory corridor, the other in an open plan combined study area and student services space. 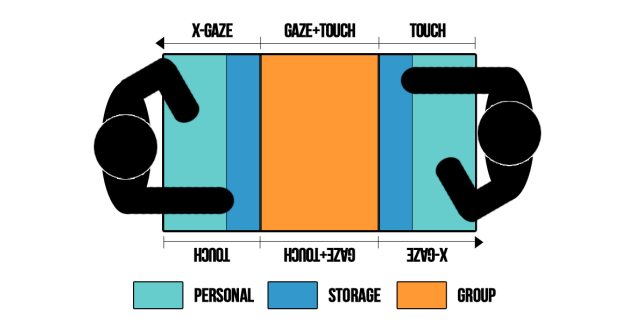 Our results show that sensor placement and installation contexts of the display, as well as how players are introduced to the interaction techniques of the game, affect the screens capacity to support social play. We subsequently offer concrete recommendations on how public display games can be built to encourage social play between participants, limit social embarrassment and encourage spectators to become active players. In doing so, we extend prior work that has primarily focused on single-user or crowd based interaction. Games with eye tracking support have existed for a long time, but have remained confined to research labs due to the prohibitive costs, inaccuracies, and awkward usage requirements of older eye trackers. 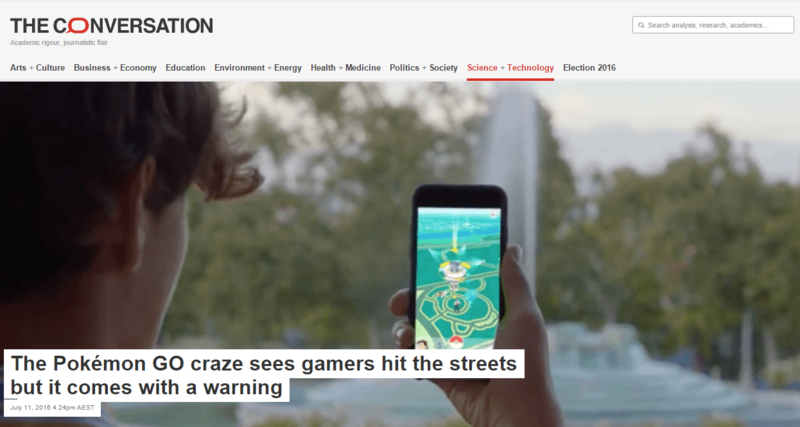 The recent release of inexpensive eye trackers, combined with AAA games offering support for eye-based game mechanics have created an interesting moment for academic research, in which an input device transitions from research labs into the wider consumer market. This paper discusses how this transition has impacted academic research in the topic. We argue that the wider availability of eye trackers and accompanying development tools have led to mechanics where the eyes play an increasingly more central role and research more focused on player experiences than on the technology itself. Within days of its release the new Pokemon Go had got people pounding the streets trying to capture virtual creatures. 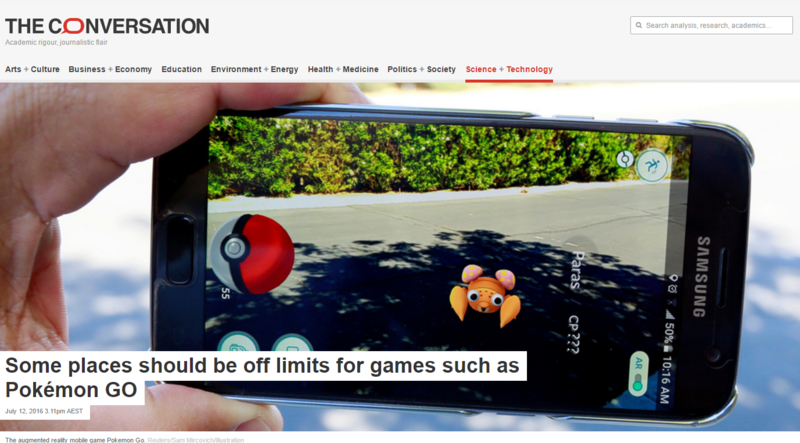 But already there are concerns over the risks it poses to gamers. Nowadays eye trackers cost as little as a few hundred dollars and ship in a small and convenient form factor. In this context, manufacturers and developers are pushing for games that use this technology to create more immersive user experiences. Our research has been investigating the capabilities of the eyes as an input modality, particularly for gaming. 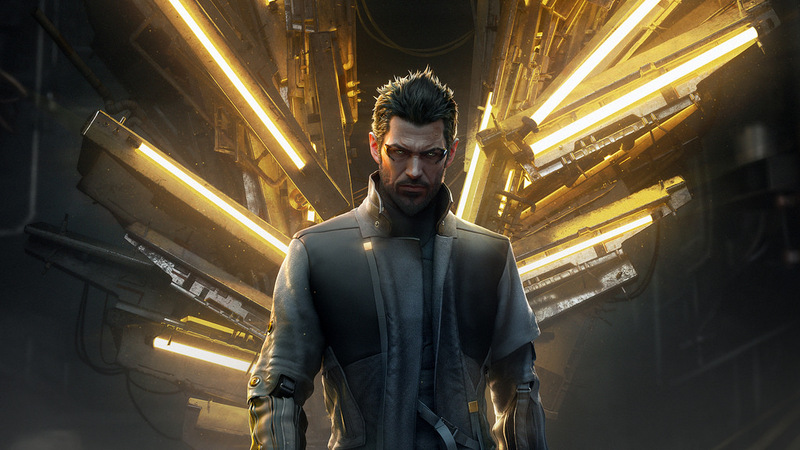 Based on a survey article in progress, this article summarises the different game mechanics and techniques that have been created so far and suggests ideas for the future. The next instalment of the popular franchise shows the infinite possibilities for eye mechanics in gaming and real life. We introduce Orbits, a novel gaze interaction technique that enables hands-free input on smart watches. The technique relies on moving controls to leverage the smooth pursuit movements of the eyes and detect whether and at which control the user is looking at. In Orbits, controls are targets that move in a circular trajectory around the face of the watch, and can be selected by following the desired one for a small amount of time. We conducted two user studies to assess the technique’s recognition and robustness that demonstrated how Orbits is robust against false positives triggered by natural eye movements and how it presents a hands-free, high accuracy way of interacting with smart watches using off-the-shelf devices. Finally, we developed three example interfaces built with Orbits: a music player, a notifications face plate and a missed call menu. These were generally well received by participants – despite relying on moving controls, very unusual in current HCI interfaces. Foot-operated computer interfaces have been studied since the inception of Human-Computer Interaction.Thanks to the miniaturisation and decreasing cost of sensing technology, there is an increasing interestexploring this alternative input modality, but no comprehensive overview of its research landscape. In this survey, we review the literature on interfaces operated by the lower limbs.We investigate the characteristics of users and how they affect the design of such interfaces. Next, we describe and analyse foot-based research prototypes and commercial systems in how they capture input and provide feedback. We then analyse the interactions between users and systems from the perspective of the actions performed in these interactions. Finally, we discuss our findings and use them to identify open questions and directions for future research. 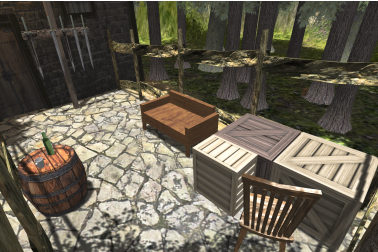 Experiencing Virtual Reality in domestic and other uncontrolled settings is challenging due to the presence of physical objects and furniture that are not usually defined in the Virtual Environment. To address this challenge, we explore the concept of Substitutional Reality in the context of Virtual Reality: a class of Virtual Environments where every physical object surrounding a user is paired, with some degree of discrepancy, to a virtual counterpart. We present a model of potential substitutions and validate it in two user studies. In the first study we investigated factors that affect participants’ suspension of disbelief and ease of use. We systematically altered the virtual representation of a physical object and recorded responses from 20 participants. The second study investigated users’ levels of engagement as the physical proxy for a virtual object varied. From the results, we derive a set of guidelines for the design of future Substitutional Reality experiences. 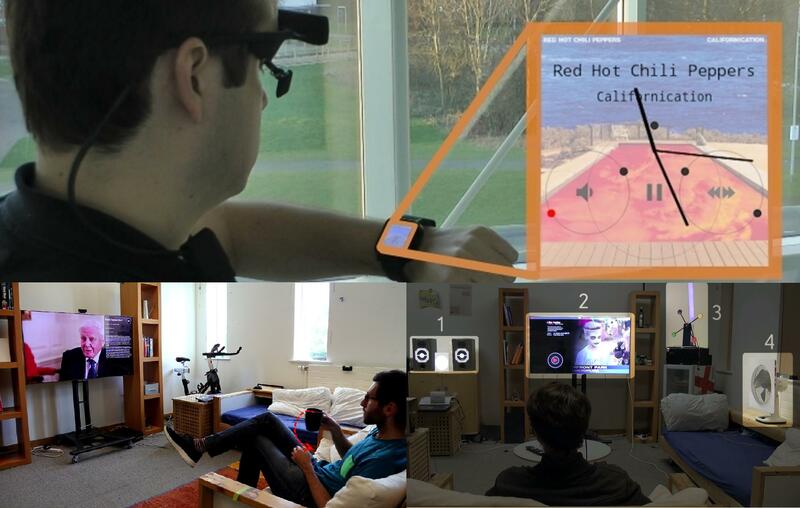 In this paper we present the results of a user experience and preference study into the combination of gaze and gesture in a lounge-style remote-interaction, using a novel system that tracks gaze and gesture using only the Kinect device at a distance of 2m from the user. Our results indicate exciting opportunities for gaze-tracking interfaces that use existing and immediately available technologies, but suggest that findings from studies of highly-accurate gaze systems may not apply in these real-world simulations where the gaze-tracking is inherently less accurate. We contribute a series of design recommendations for gaze and gesture interfaces in this context, and based on these limitations. In this paper we demonstrate Orbits, a novel gaze interaction technique that accounts for both the reduced size of smart watch displays and the handsfree nature of conventional watches. 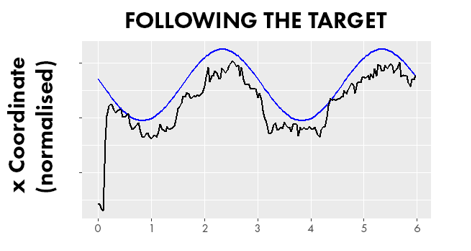 Orbits combines graphical controls that display one or multiple targets moving on a circular path, with input that is provided by users as they follow any of the targets briefly with their eyes. This gaze input triggers the functionality associated with the followed target – be it answering a call, playing a song or managing multiple notifications. MAGIC—Manual And Gaze Input Cascaded—pointing techniques have been proposed as an efficient way in which the eyes can support the mouse input in pointing tasks. MAGIC Sense is one of such techniques in which the cursor speed is modulated by how far it is from the gaze point. In this work, we implemented a continuous and a discrete adaptations of MAGIC Sense for First-Person Shooter input. We evaluated the performance of these techniques in an experiment with 15 participants and found no significant gain in performance, but moderate user preference for the discrete technique. 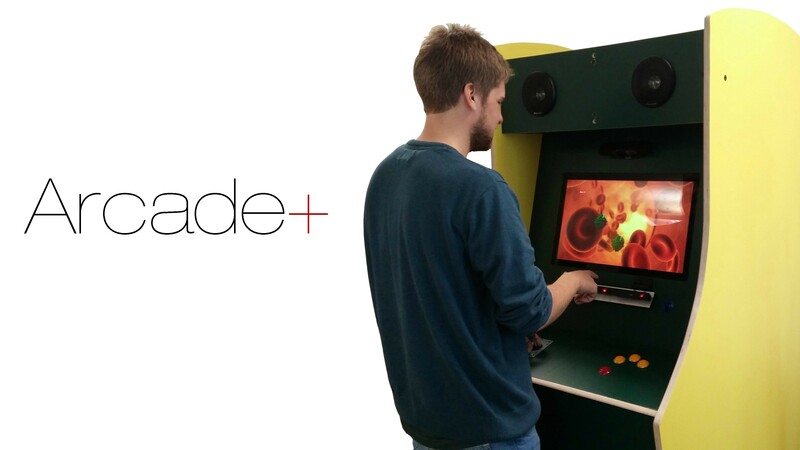 We describe the design and implementation of Arcade+, a custom-built arcade machine augmented with modern input devices to deploy and evaluate novel multi-modal interaction techniques for gaming. Arcade+ has gaze, feet, mid-air gestures, and multi touch sensing capabilities, as well as traditional arcade controls. Our modular design also allows for extending current capabilities or replacing them with others. 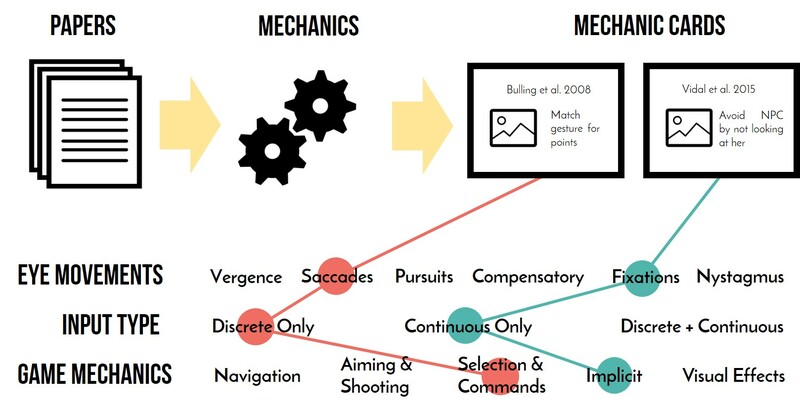 To demonstrate the system’s capabilities, we describe and discuss three games that explore how multi-modal input can inspire new play concepts and mechanics. This paper takes a bottom-up approach to characterising foot movements as input for users seated at computing systems. We conducted four user studies to characterise various aspects of foot-based interaction. First, we built unconstrained foot pointing performance models for 16 participants in a seated desktop setting using 1D and 2D ISO 9241-9-compliant Fitts’s Law tasks. Second, we evaluated the effect of the foot and direction in one-direction tasks, finding no effect of the foot used, but a significant effect of the direction in which targets are distributed. Third, we compared the use of one foot against two feet to control two independent variables, finding that while one foot is better suited for tasks with a spatial representation that matches its movement, there is little difference between the two feet techniques when it does not. Fourth, we analysed the overhead caused by introducing a feet-controlled variable in a mouse-based task, finding the feet to be comparable to the scroll wheel. The results of our studies show the feet are an effective method of enhancing our interaction with desktop systems; we use our findings to inform a series of design guidelines. In this paper, we present an exploration of players’ nonverbal body expressions when playing survival-horror games. We compared physiological signals and body expressions of 16 participants playing two games: a survival-horror game (Slender: The Eight Pages) and a custom-built baseline game with the same map and controls (Treasure Hunt). We show that the hard fun style of Survival-Horror games makes full body expressions an unsuitable modality for affect recognition, but scary game events are clearly expressed by their physiological signals. Designers of force-sensitive user interfaces lack a ground-truth characterization of input force while performing common touch gestures (zooming, panning, tapping, and rotating). This paper provides such a characterization firstly by deriving baseline force profiles in a tightly-controlled user study; then by examining how these profiles vary in different conditions such as form factor (mobile phone and tablet), interaction position (walking and sitting) and urgency (timed tasks and untimed tasks). We conducted two user studies with 14 and 24 participants respectively and report: (1) force profile graphs that depict the force variations of common touch gestures, (2) the effect of the different conditions on force exerted and gesture completion time, (3) the most common forces that users apply, and the time taken to complete the gestures. This characterization is intended to aid the design of interactive devices that integrate force-input with common touch gestures in different conditions. Games designed around digital bodily play involve bodily movement and expression to create engaging gameplay experiences. Most feedback in these games takes the form of visual stimuli. To explore the gameplay mechanics afforded by depriving players from these visual cues, we designed Reindeer & Wolves, a role-playing game where blindfolded players capture other players relying on their hearing alone. Based on our design and play testing, we devised four strategies for designing games that incorporate sensory deprivation as an element of the core mechanic. In this paper we present an exploratory work on the use of foot movements to support fundamental 3D interaction tasks. 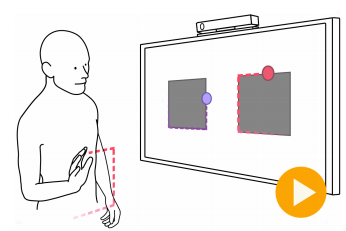 Depth cameras such as the Microsoft Kinect are now able to track users' motion unobtrusively, making it possible to draw on the spatial context of gestures and movements to control 3D UIs. Whereas multitouch and mid-air hand gestures have been explored extensively for this purpose, little work has looked at how the same can be accomplished with the feet. We describe the interaction space of foot movements in a seated position and propose applications for such techniques in three-dimensional navigation, selection, manipulation and system control tasks in a 3D modelling context. We explore these applications in a user study and discuss the advantages and disadvantages of this modality for 3D UIs. 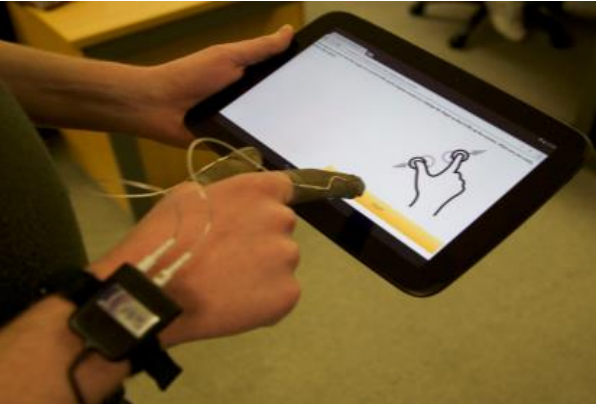 Manual annotation of human body movement is an integral part of research on non-verbal communication and computational behaviour analysis but also a very time-consuming and tedious task. 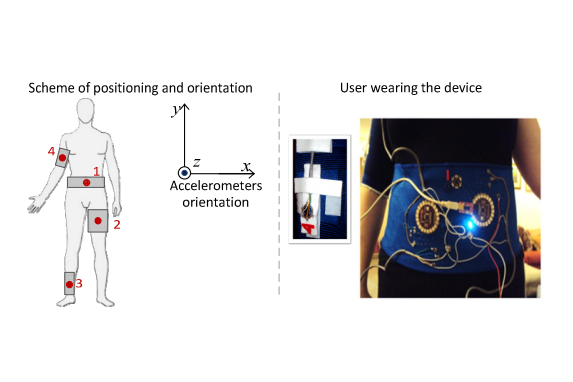 In this paper we present AutoBAP, a system that automates the coding of bodily expressions according to the body action and posture (BAP) coding scheme. 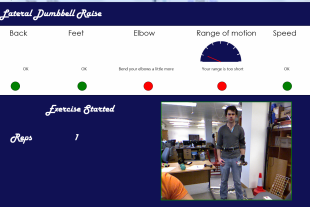 Our system takes continuous body motion and gaze behaviour data as its input. 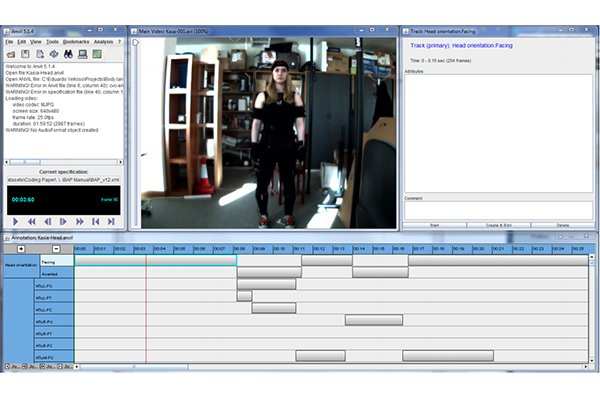 The data is recorded using a full body motion tracking suit and a wearable eye tracker. From the data our system automatically generates a labelled XML file that can be visualised and edited with off-the-shelf video annotation tools. We evaluate our system in a laboratory-based user study with six participants performing scripted sequences of 184 actions. Results from the user study show that our prototype system is able to annotate 172 out of the 274 labels of the full BAP coding scheme with good agreement with a manual annotator (Cohen's kappa > 0.6). Research on activity recognition has traditionally focused on discriminating between different activities, i.e. to predict which activity was performed at a specific point in time. The quality of executing an activity, the how (well), has only received little attention so far, even though it potentially provides useful information for a large variety of applications. In this work we define quality of execution and investigate three aspects that pertain to qualitative activity recognition: specifying correct execution, detecting execution mistakes, providing feedback on the to the user. We illustrate our approach on the example problem of qualitatively assessing and providing feedback on weight lifting exercises. In two user studies we try out a sensor- and a model-based approach to qualitative activity recognition. Our results underline the potential of model-based assessment and the positive impact of real-time user feedback on the quality of execution. Particularly in sports or physical rehabilitation, users have to perform body movements in a specific manner for the exercises to be most effective. It remains a challenge for experts to specify how to perform such movements so that an automated system can analyse further performances of it. In a user study with 10 participants we show that experts' explicit estimates do not correspond to their performances. To address this issue we present MotionMA, a system that: (1) automatically extracts a model of movements demonstrated by one user, e.g. a trainer, (2) assesses the performance of other users repeating this movement in real time, and (3) provides real-time feedback on how to improve their performance. We evaluated the system in a second study in which 10 other participants used the system to demonstrate arbitrary movements. Our results demonstrate that MotionMA is able to extract an accurate movement model to spot mistakes and variations in movement execution. During the last 5 years, research on Human Activity Recognition (HAR) has reported on systems showing good overall recognition performance. As a consequence, HAR has been considered as a potential technology for e-health systems. Here, we propose a machine learning based HAR classifier. 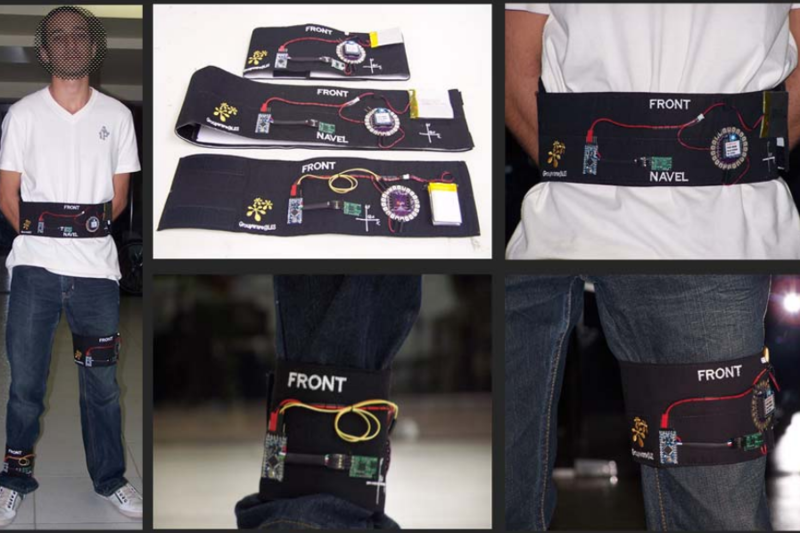 We also provide a full experimental description that contains the HAR wearable devices setup and a public domain dataset comprising 165,633 samples. We consider 5 activity classes, gathered from 4 subjects wearing accelerometers mounted on their waist, left thigh, right arm, and right ankle. As basic input features to our classifier we use 12 attributes derived from a time window of 150ms. Finally, the classifier uses a committee AdaBoost that combines ten Decision Trees. The observed classifier accuracy is 99.4%. This paper presents the Virtual Caregiver system, a collaborative ubiquitous computing application. The application scenario is the monitoring of an 86 years old patient diagnosed with Alzheimer's disease and cardiac arrhythmia. The system consolidates data obtained from sensors in a wearable device to enable collaborative monitoring of elderly patients by relatives and health professionals using smart phones and social networks. From the classifier developed for this study, it was found 99.4% overall accuracy in a 10-fold cross validation test. 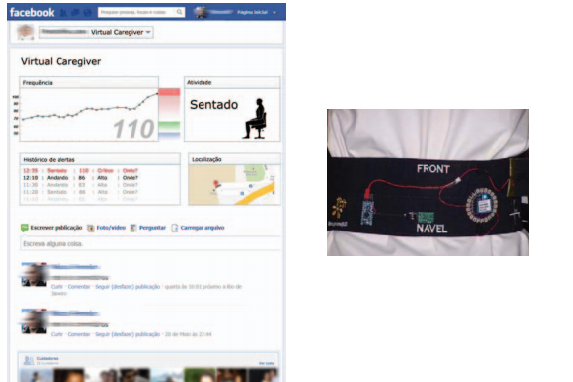 We also obtained feedback from patients and relatives that have been useful to guide the development of a new version of the wearable, unobtrusive and adapted to the patient needs. This position paper outlines the authors’ vision on how the Web of Things, using interconnected devices, including sensor nodes, mobile phones and conventional computers can help improve the overall health and wellbeing of its users. We describe ongoing work being carried by our research group both at PUC-Rio and at Lancaster University as well as the motivating background. Even though interactive whiteboards have been widely used in classrooms around the world, very little work explores its capabilities for collaborative activities. This paper describes a case study in which we explored how beginners in Electronics collaborate in order to build logic circuits with our software using an interactive whiteboard as a collaboration platform. Findings of this work point out that interactive whiteboards have demonstrated to be more suitable for collaborative activities than a conventional desktop PC, since they make it possible for students to take turns when interacting with the software. However, this does not always happen and the technology we explored raised issues involving single touch limitations and projection occlusion. Sports exercises are beneficial for general health and fitness. Some exercises such as weight lifting are particularly error-prone and using incorrect techniques can result in serious injuries. The current work aims to develop a weight lifting assistant that relies on motion sensors mounted on the body and integrated into gym equipment that provides qualitative feedback on the user's performance. We believe that by comparing motion data recorded from different parts of the body with a mathematical model of the correct technique, we will be able to qualitatively assess the user's performance, and provide a score and suggestions for improvement. 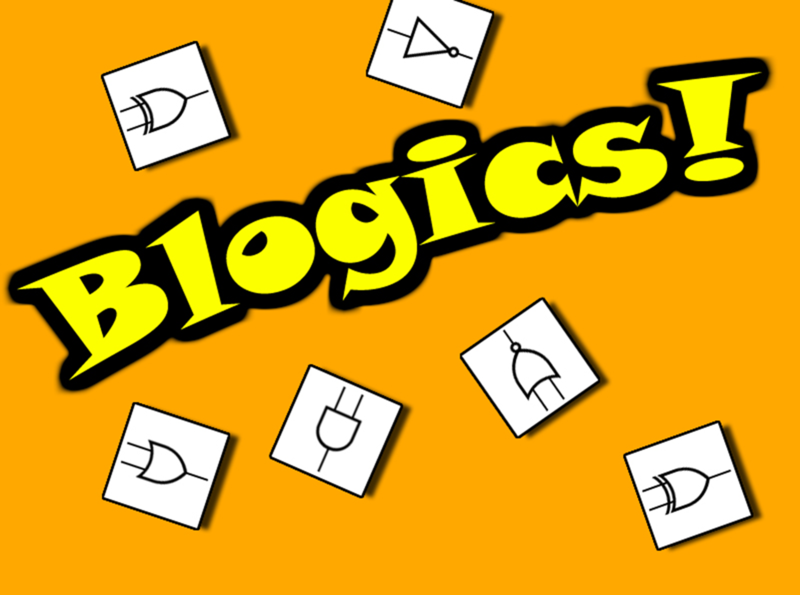 This was my Bachelors dissertation about Blogics!, a learning tool for teaching logic circuits. It is in Portuguese. This position paper describes the authors’ vision of the future of computing. Once Ubiquitous Computing matures as a new paradigm for computing three major issues arise: how can these systems interact with people, environments and other systems, how can all the information collected by the system be smartly represented so it can be useful and how can the system use this information to make intelligent inferences over context. Nontraditional interfaces, Semantic Web technologies and Multi-Agent systems are discussed as possible solutions for these problems.